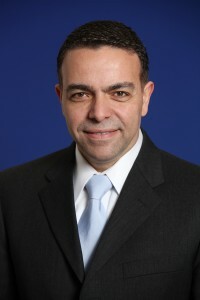 Ghaith Rabadi is a Professor of Engineering Management & Systems Engineering (EMSE) at Old Dominion University. He received his Ph.D. and M.S. in Industrial Engineering from UCF 1999 and 1996 respectively, and his B.S. in Industrial Engineering from the University of Jordan in 1992. Prior to joining the faculty at Old Dominion as an Assistant Professor in 2002, he was a post doc on NASA funded projects for one year and a Visiting Assistant professor at the Industrial Engineering Department at University of Central Florida (UCF) for another year. He also worked as a Research Director at Productivity Apex, a modeling and simulation company based in Orlando, FL, from 2000-2002. He has published a book, and numerous journal and conference peer reviewed papers and book chapters. He received the NASA Faculty Fellowship where he worked at NASA Langley Research Center in Virginia as a faculty fellow. He was awarded with his colleagues the NASA Software Invention Award and the NASA Board Action Invention Award. His research has been funded by NASA, Department of Homeland Security (DHS), Virginia Port Authority (VPA), Northrop Grumman Shipbuilding, MITRE Corporation, STIHL, CACI, Sentara Hospitals and Qatar Foundation. He received the Fulbright Specialist Program award. His research and teaching interests include Planning and Scheduling, Operations Research, Simulation Modeling and Analysis, and Supply Chain Management and Logistics. He is a co-founder and is currently the Chief Editor for the International Journal of Planning and Scheduling.